Hotel Ganslhof is an absolute must for those seeking accommodation in the heart of Salzburg, who want to take in some culture but relax too. Hotel Ganslhof is centrally located in the Schallmoos district of Salzburg. A prime site offering its guests an idyllic restful park to sit back, rest and unwind, bright modern and tastefully furnished rooms. 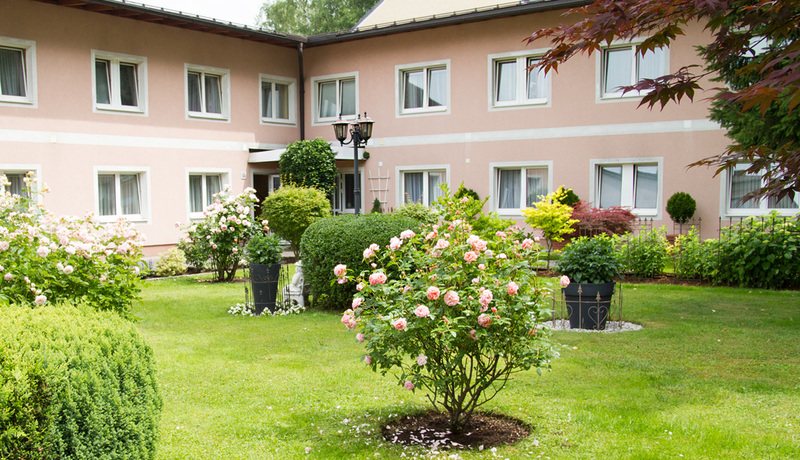 Ganslhof is a hotel with tradition:managed by the Armstorfer family for more than 100 years. The Armstorfers always put their guests first – just part of the tradition. The world-famous Getreidegasse - a shopper’s paradise - is only a few minutes’ walk away as too is the house where Mozart was born, Salzburg Cathedral, the Festspielhaus and the Hohen Salzburg Fortress. Close by are Salzburg’s exhibition, Hellbrunn Palace with its Wasserspiele - trick water fountains - and zoo. The Salzkammergut – scenic ‘Lake District’ – is only a short drive away. And for those without a car, there is a bus-stop just round the corner from the hotel. Our family-run hotel has been tastefully decorated and furnished with the needs and well-being of our guests in mind. Any questions or special requests just ask and we will do our best to oblige. Discover and experience the magic of Salzburg and our hotel for yourself. Ask for your accommodation today.